I’ve dipped these cookies in melted chocolate. 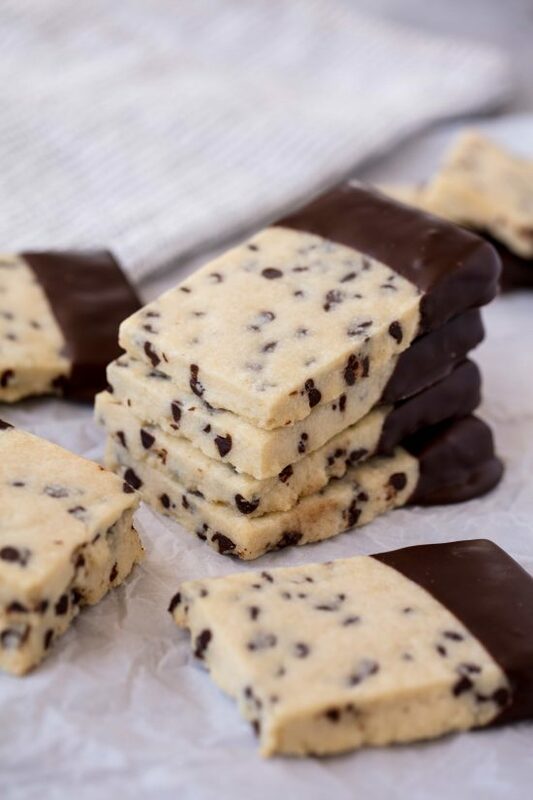 Specially, I used Ghirardelli’s melting wafers. 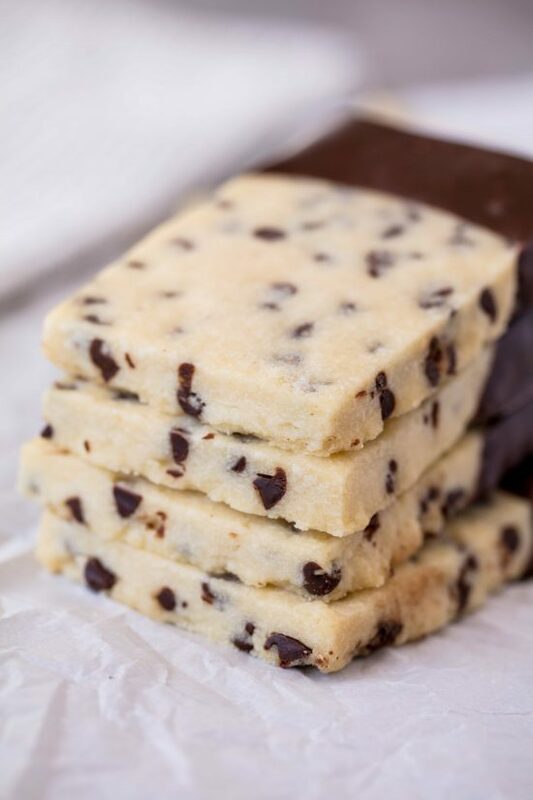 You can use chocolate chips too, but wafers are just so easy to work with. You also don’t have to dip them in chocolate at all. It adds a fun and fancy finishing touch and a higher chocolate content, but you can also have these cookies plain as well. 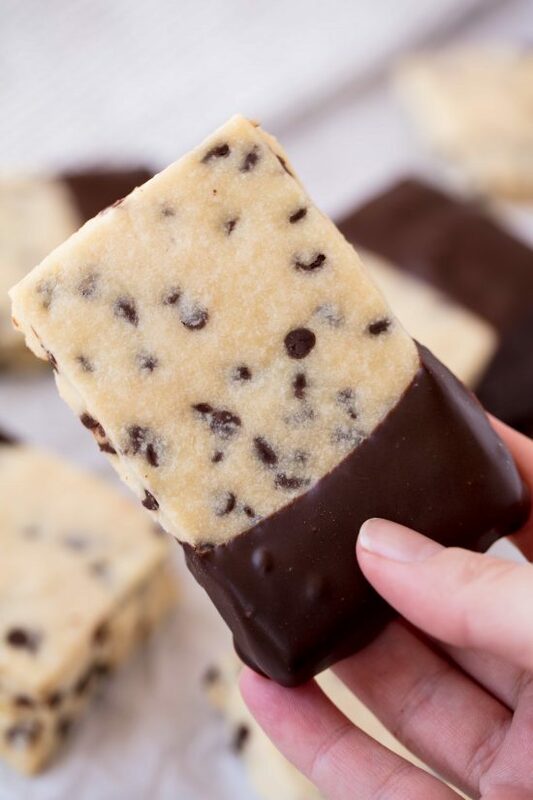 0 Response to "CHOCOLATE CHIP SHORTBREAD COOKIES"